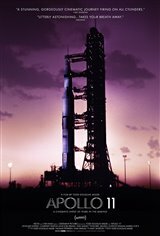 "Fantastic documentary covering the efforts and successes achieved in the '60s with hard work and imagination. Children all over the world should watch this movie and realize dreams are possible when people communicate and work together and how it can affect future generations"
"Too much time spent showing the inside of the space control centre, a couple of hundred men (mostly) sitting around looking at monitors, and using language the average person doesn't understand and little spent on the human element." "A perfect example of what can be done when we all work together !!! Imagine this, Elon Musk is elected President of the United States of America. The space program and Global Accomplishments Mankind could achieve would be Incredible !!!"